P.S. 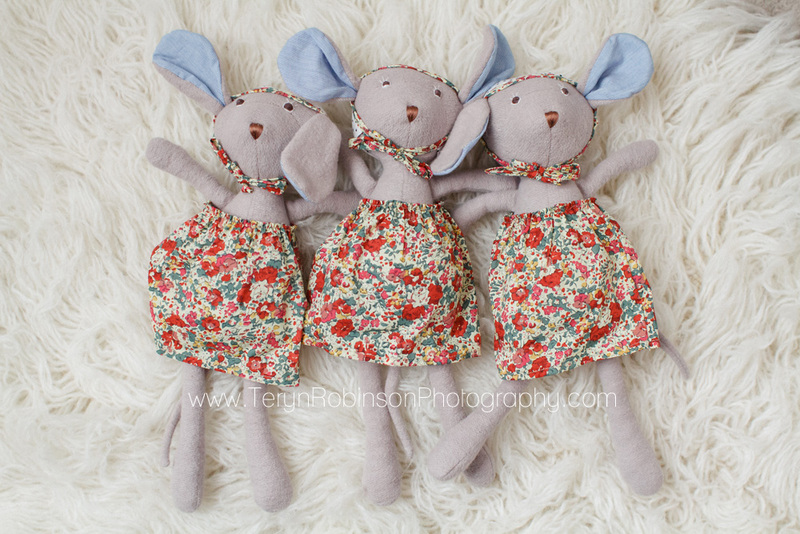 the bows and buttons snapped on the ribbon of the middle hoop are made by LuLu & ChaCha. Fawn & Clover can be found at www.fawnandclover.com, on Facebook, Instagram, and Pinterest. 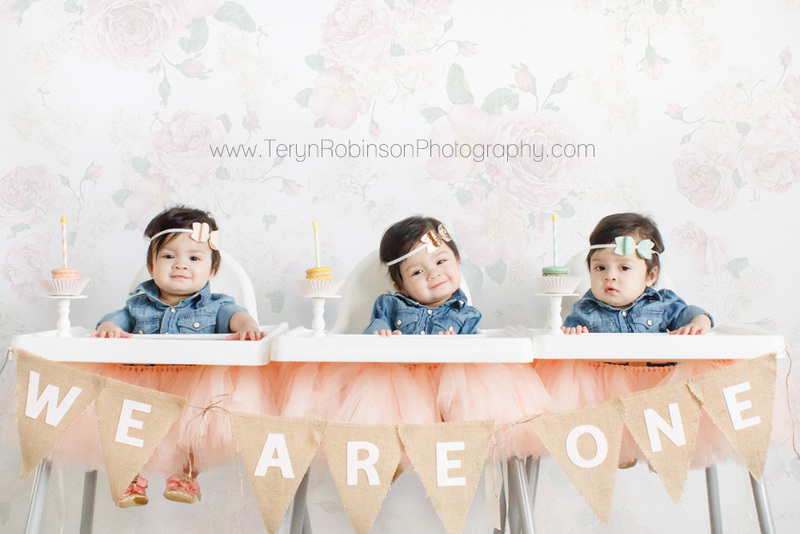 As we reach the girls’ first birthdays this week, I can’t help but think of how far we’ve come. This day last year was a Sunday and I remember it so very clearly. I had been in the hospital for 5 weeks and we were hopeful I’d still make it a few more. A sweet mother of identical triplet boys who spent time at the same hospital a year before was in town from Cheyenne Wyoming and her, her husband, and her sister stopped by to lend me some encouragement. I was not feeling too bad considering the circumstances. The doctor who was covering the weekend shifts stopped by. He was very optimistic, said I looked great, and unless something drastic happened, I’d likely make it a couple more weeks. The next day (Monday) was a different story, a different team of doctors, and they were not letting me keep my babies in any longer. My blood pressure was too high and it was too risky. At around 10:30am we were told my c-section would take place around 2pm. It would have been earlier had I not just eaten breakfast. It happened very fast and was such a blur but we had an incredible birth photographer (thanks to some amazing photog friends who all pitched in and surprised me) who was able to capture everything but the actual birth as she was not allowed in the Operating Room. 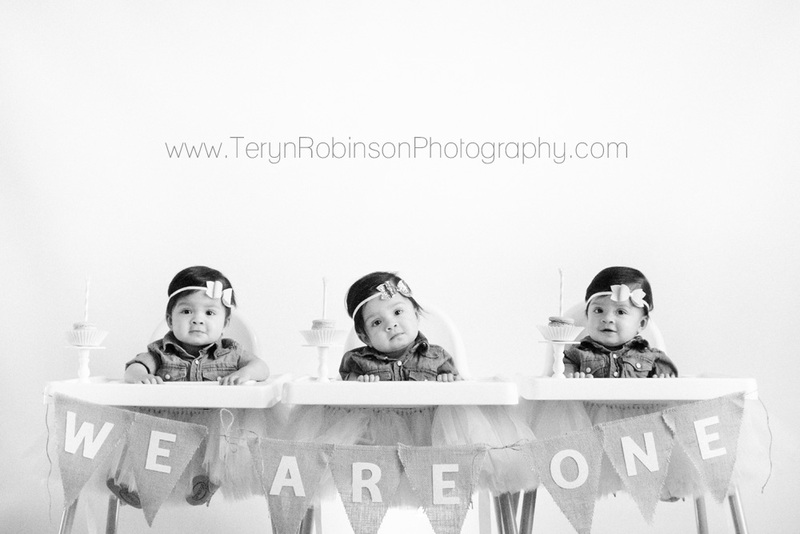 She also came back to the NICU when we were able to hold all three girls together 3 weeks later. Here is the amazing story she told. 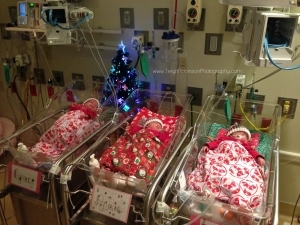 We went on to spend Thanksgiving, Christmas, and New Year’s in that NICU. 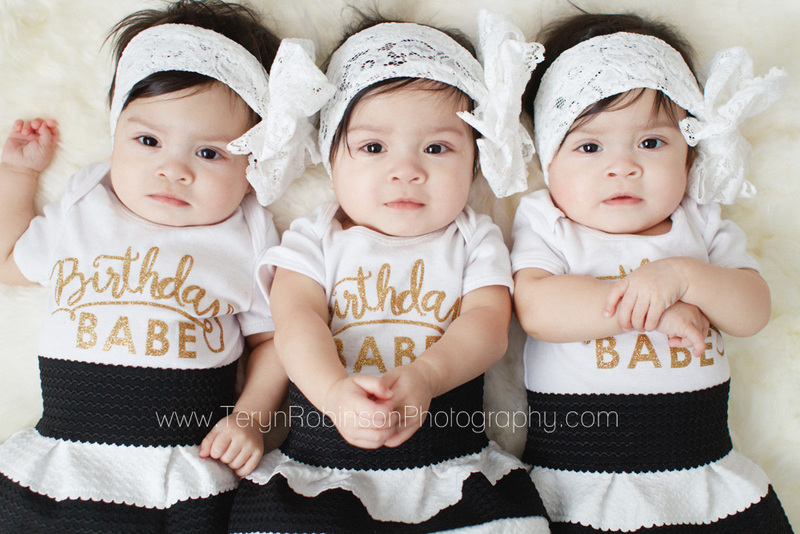 The girls were discharged almost a month after their due date and all three came home with NG feeding tubes. They were eating about 0-10 mL on their own. It’s very rare that they let parents take a baby home with a NG tube so to take 3 home that way was unheard of and most of the staff was very uncomfortable with it. We’re so very thankful they allowed us to do that. It was HARD but thanks be to God, we got them eating and managed to avoid more permanent G tubes. 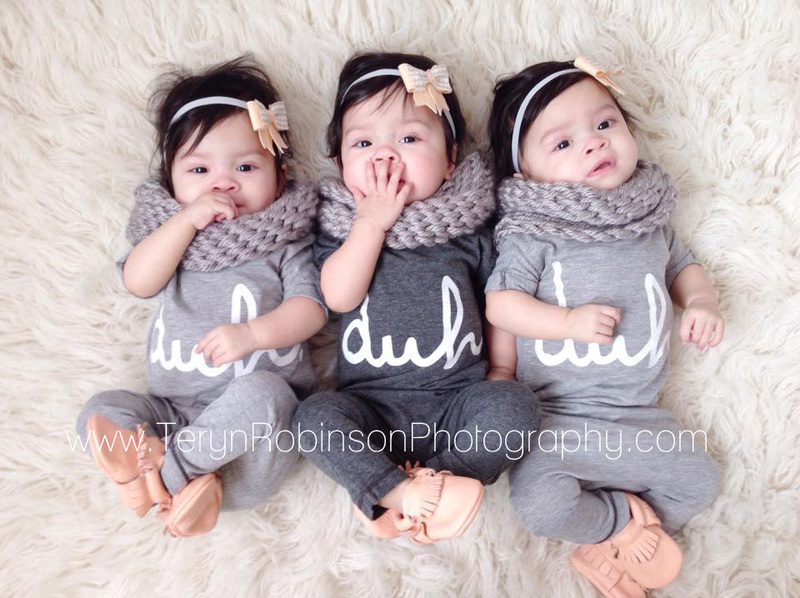 I’m so excited to put up a Christmas tree, sip hot cocoa by the fireplace, and fill our house with laughter while we snuggle 3 darling little girls. 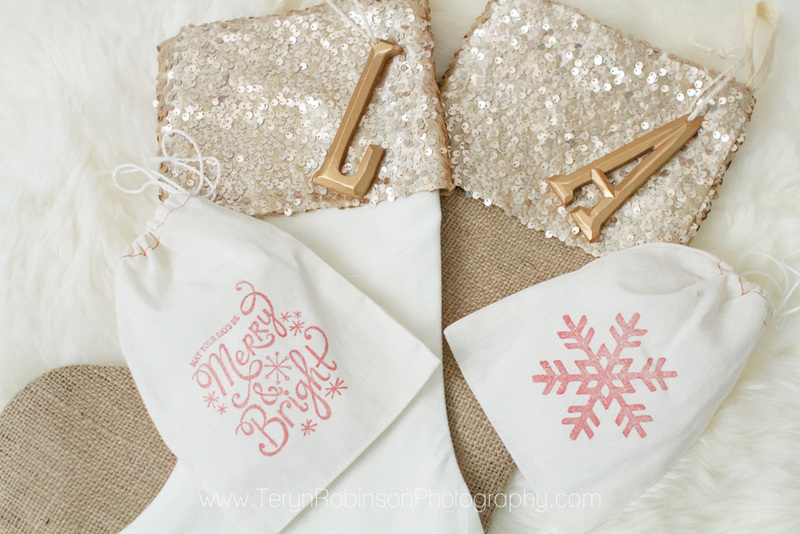 In light of how Christmasy my house is becoming, I thought I’d share some of my favorite Christmas finds for 2014. 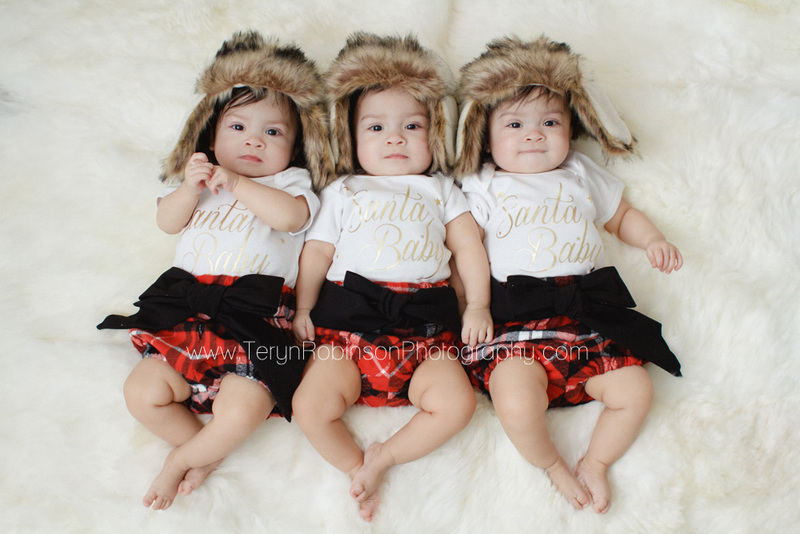 First are Christmas Day outfits from Sugarplum Lane Baby. They have some of the cutest holiday pieces for little ladies including these red plaid flannel high waist bloomers and white Santa Baby shirts. 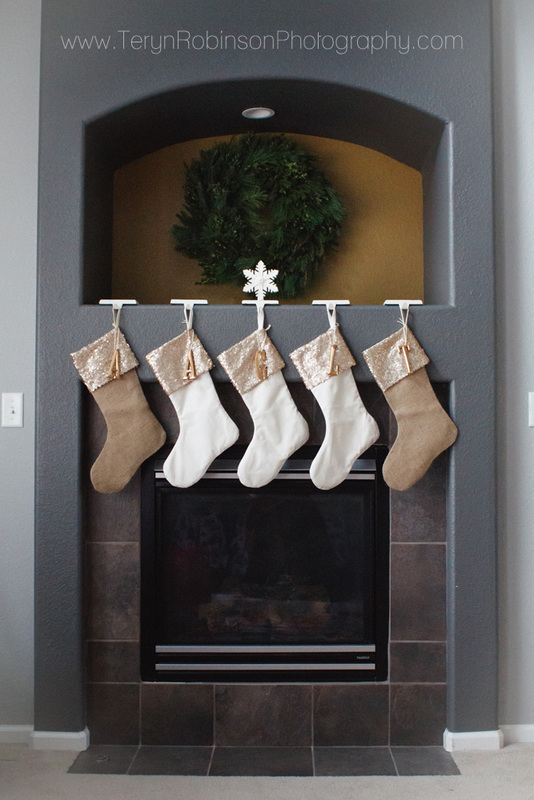 So far the stockings are hung, wreath is up, and the fireplace is complete! I found these darling customizable stockings on Etsy from TwentyEight12. They have lots of sequined goodness for your home this holiday season from stockings, to table runners, throw pillows, and more!!! 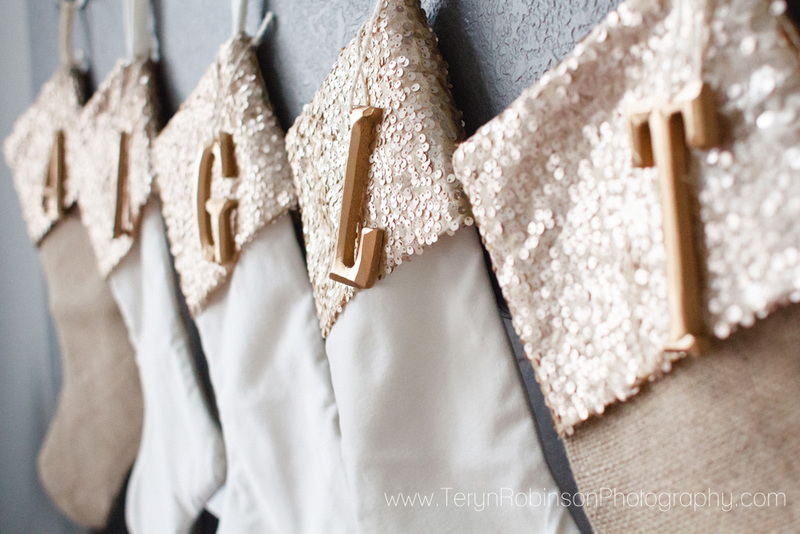 These burlap, velvet, and sequin stockings are perfect for our first Christmas at home as a family of 5. 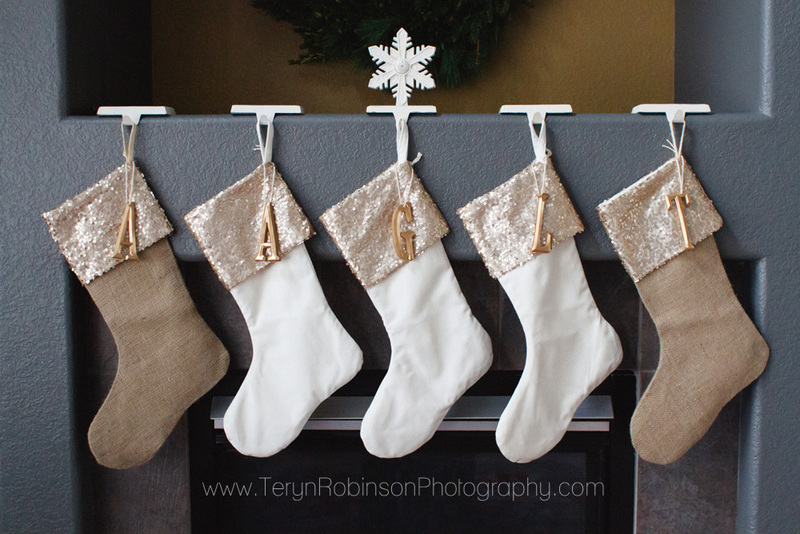 You can customize the stockings with hanging name tags, initials, snowflakes, buck heads…. I chose to go with gold initials for our family. On Etsy I also found the perfect snowflake stocking hangers from RusticEye and a gorgeous fresh greens wreath from TheBlaithinBlairShop. I have a beautiful faux boxwood wreath for the front door and monogrammed burlap tree skirt of the way from TheSeptemberTree too. FYI If you love these stockings and have to have them, December 10th is the deadline to order. Okay, let me just start by saying that I think this is my all time favorite picture I’ve taken of the girls since starting these blog posts. I know, I know…. I’ve said that before, but this one really is!!! It might help that I love this brand so much so my girls in Bloom Theory = hearts in my eyes and my heart. 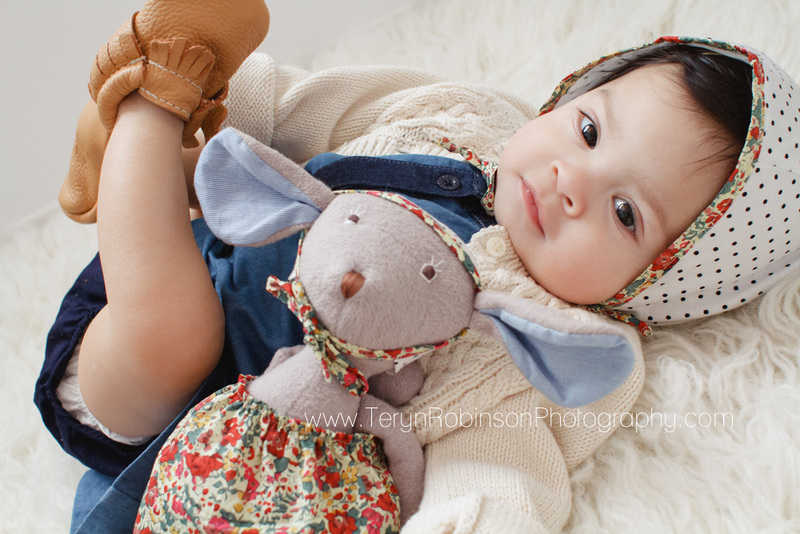 I loved Bloom Theory and they’re beautifully designed and crafted camera straps since before I was ever even pregnant with my little girls so naturally, when I saw that they now make plush toy cameras with adorable scarf style straps, I had to have them for my babies! Just look at those little pretend photographers!! I see lots and lots of fun in our futures as they get older and want to be just like Mommy. Follow Bloom Theory on Instagram and Facebook. Hats from The Baby Turban, skirts from Twindollicious, and our favorite Freshly Picked moccs. Here’s my scarf strap from Bloom Theory. Meet Willow…. isn’t she gorgeous? !